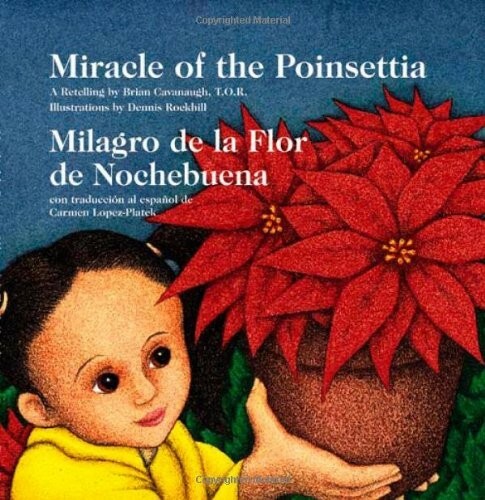 The Miracle of the Poinsettia is a retelling of a traditional Mexican legend -- a small girl has no gift to give the Christ child at the Christmas Eve procession. She gathers up weeds from the roadside and because she give them from her heart, they are miraculously topped with glorious red flowers. Vividly illustrated in full color, this charming bilingual book will capture the hearts of children, as well as adults who read it to them. It is also a splendid resource for children's and family ministry, ESL programs, and schools with Spanish-speaking children.